This photo happened in January, my favorite time in Venice. Fewer tourists, moderate cold weather, great for walking around and shooting. 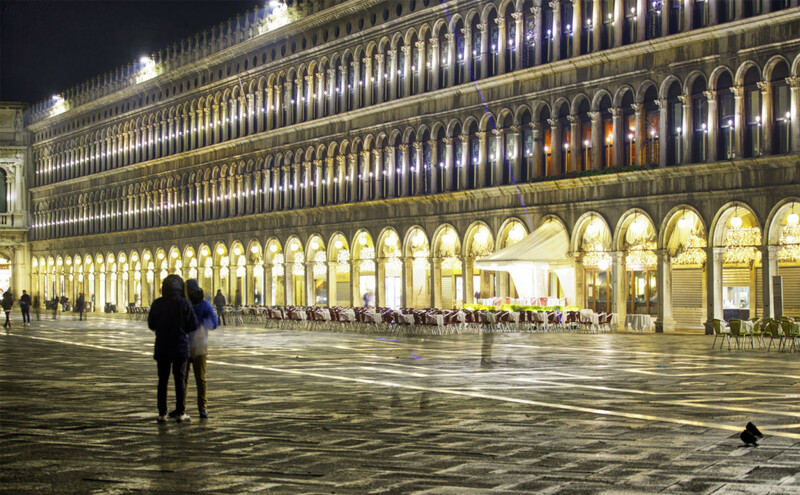 Even the Piazza San Marco gets less crowded sooner, and it’s more comfortable taking the pictures you want, without waiting time for getting unwanted people out of the scenery.